The Motor City was designed for driving cars and lacks the familiar mass public transportation system we enjoy (thanks, Ford!). There are many highways with amazingly little traffic. Even though, Detroit ranked as the worst big city in U.S. for driving. 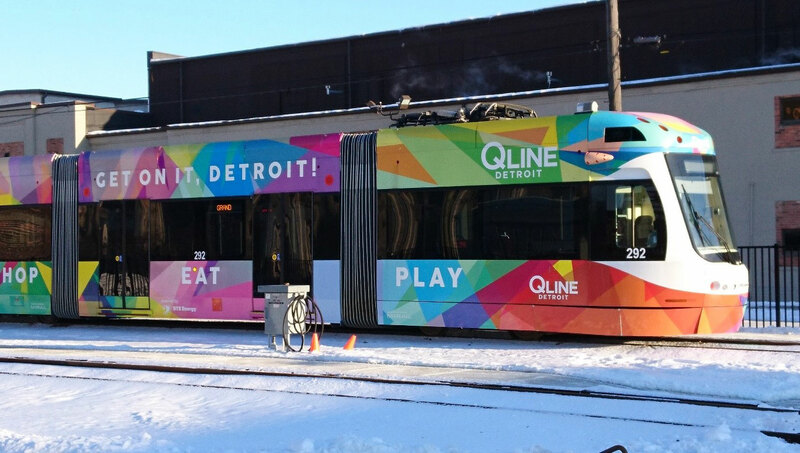 The only mode of public transport, other than busses, is Detroit’s Q-Line which runs along Woodward Avenue and provides free rides during icy weather. 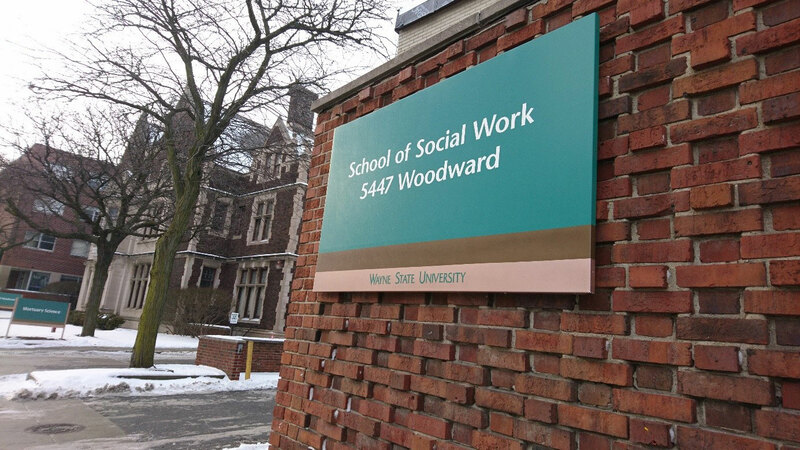 Getting off the aforementioned Q-Line at the corner of Woodward Ave at Ferry Street, you are presented with the Wayne State University School of Social Work. Despite the icy weather conditions, I met many colleagues (highly appreciated!). As stated by Dean Kubiak, the WSU School of Social Work has served as a national leader in social work education and research for over 80 years. 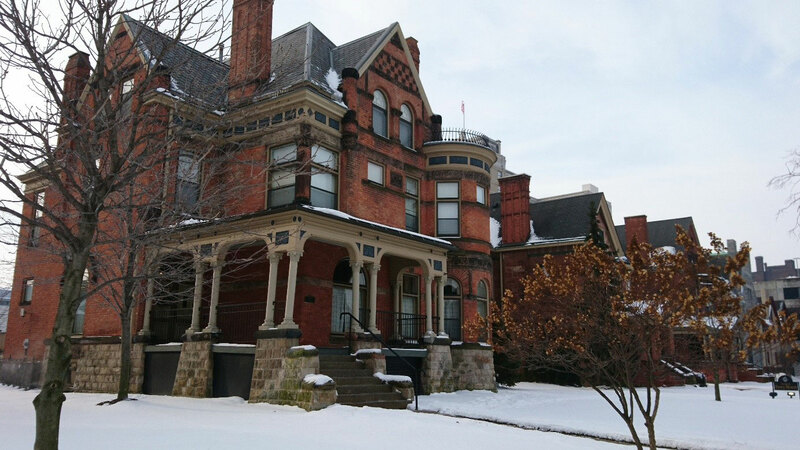 They offer B.S.W., M.S.W., Ph.D. and certificate programs. They focus on evidence-based techniques and interventions for individual, family, group and community practice. They are linked to 12 Grand Challenges for Social Work in U.S., which was initiated by the American Academy of Social Work and Social Welfare. It is a groundbreaking initiative to champion social progress powered by science, to tackle U.S. toughest social problems. Social problems include: Close the health gap, stop family violence, eradicate social isolation, end homelessness, build financial capability for all, achieve equal opportunity and justice, just to mention a few. 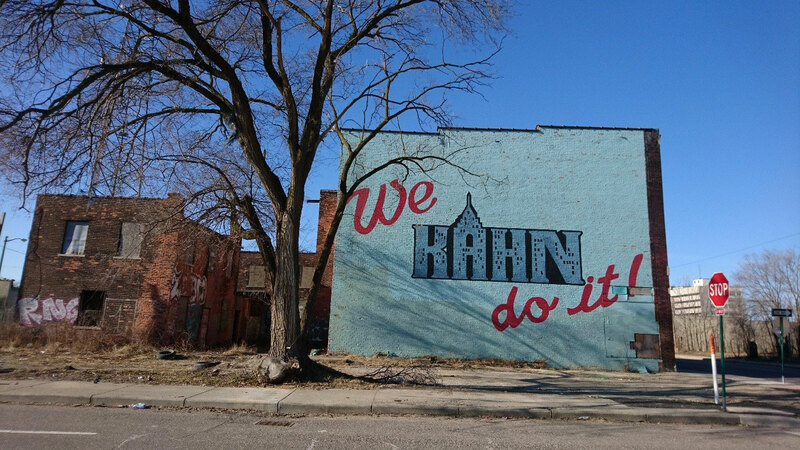 Another fascinating thing to discover in Motor City are the colorful murals, which can easily be explored by car or taking a stroll. 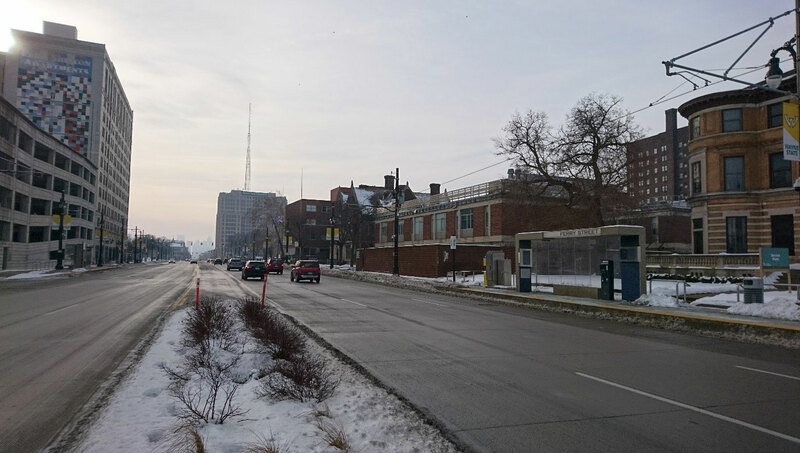 While Detroit has suffered marked losses in inhabitants, business and public capital, the streetscape shows another city becoming visible. Often unplanned and unauthorized individual artists remake the city’s facades with murals of history, famous community people or personal dreams. There are two outstanding landmark skyscrapers to see while in Detroit. The Guardian Building, built in 1928, is a class-A office building owned by Wayne County, Michigan and serves as its headquarters. It is a bold example of Art Deco architecture. 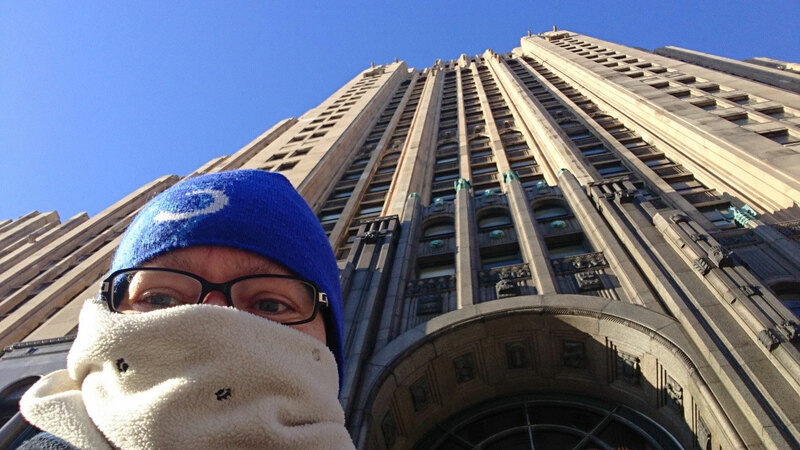 The Fisher Building, completed in 1928, is one of the major works of foremost American industrial architect Albert Kahn (1869 – 1942), who is sometimes called the “architect of Detroit”. But Michigan Central Station will always stand out as my favorite old historic building in Detroit. It was the tallest railway station in the world at the time of its construction. No other building demonstrates how much the automobile industry gave to the city and how much it took away. 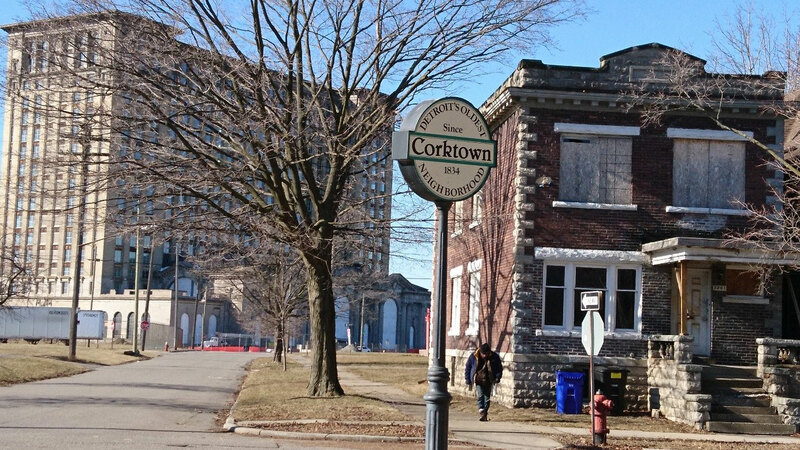 Good news: Ford Motor Company started a $350 million redevelopment of Michigan Central Station in Detroit’s Corktown neighborhood. Looking back to move forward. Detroit Kahn do it!